Book this vacation by April 30, 2019 to avail a special price of USD $ 3,454 (option 1) and USD $ 5,045 (option 2) and save up to 10 % off your trip price! Discover a natural and cultural wonderland on the island of Bali. From unique landscapes to authentic experiences and warm hospitality, this private Indonesia tour promises endless enchantment! 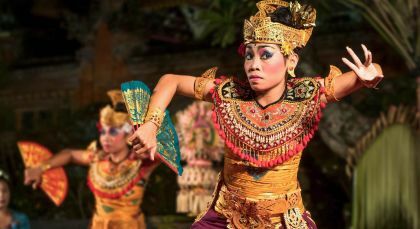 Ubud is the cultural heart of Bali. 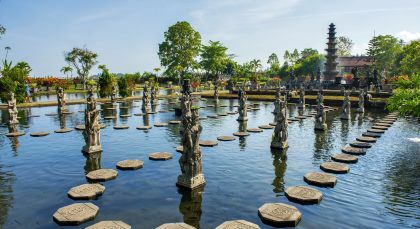 Home to the country’s royal family, the town is rich in art and at the center of Balinese craft and traditional dance. Catch the sunrise over Mt Batur with an early morning trek to the peak. You will leave your hotel around 3am and reach the starting point of the trek after a 1 hour drive. The climb up to the peak takes 60-90 minutes and the final stretch is quite steep. Experience a breath-taking view of the sunrise and a panoramic view of the valley and Lake Batur below. Coffee or tea as well as a light breakfast can be had at the peak. After your climb down, energise your body and mind with a swim in the hot springs at the shore of Lake Batur before visiting the Tirta Empul Palace, a holy spring water temple at Tampak Siring Village where you can watch Balinese Hindus purifying their souls. (Full Day 3am-noon, Private Activity & Transfer; Fitness Level: Moderate-Difficult; Please bring warm clothing for the trek at dawn as well as bathing suits. Torches will be provided). Learn the art of ‘Pranala’ from a Master! Spend time with a master healer — Tjokorda Gede Rai, who deftly blends the traditional and the modern to offer you a fresh perspective on life. Soak in the wisdom and knowledge offered by the Master as he guides you to lead a harmonious life. Learn special gestures and movements to correct imbalances in your body and mind and heal your soul. This fascinating healing system emphasizes development through the balancing and lively integration of opposites. The transformative encounter is sure to teach you handy techniques that you will carry through your life. Set on a picturesque corner of Bali in the Indonesian archipelago, Jembrana offers the ideal beach hideaway. Boasting an untouched landscape, the region had remained isolated from external influence until as recently as the mid-nineteenth century when it was conquered by Dutch colonial forces. Pemuteran in Bali is the ultimate beach oasis! This hidden jewel is located on the northwestern tip of Bali and is only known to visitors who have been vacationing in Indonesia for years and prefer a quieter beach. 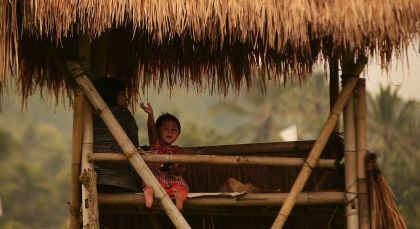 Munduk in Bali is undoubtedly one of the most charming mountain villages of Indonesia. With its lush hills that are dotted with jungles, paddy fields, fruit trees and other island plants, it is the ideal location to unwind within the harmony of nature. 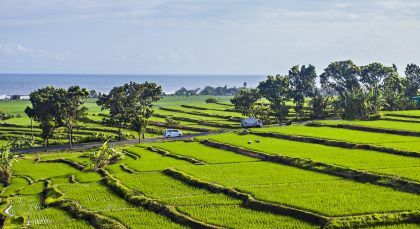 Candidasa in Bali is a small coastal region located on the main road to Amlapura. At first glance, you may dismiss this inland as just another town with only a relatively small black sand beach. Seminyak is the hedonist hotspot of Bali! 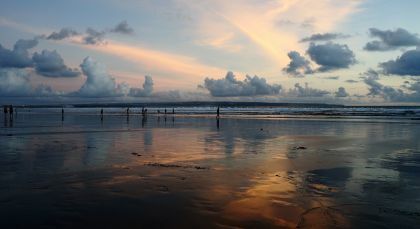 Located north of the airport, Seminyak boasts a marvellous beach along a stretch of coastline that has made Bali world-famous. Accommodation (on a twin-sharing basis) on the indicated meal plan for 15 nights.